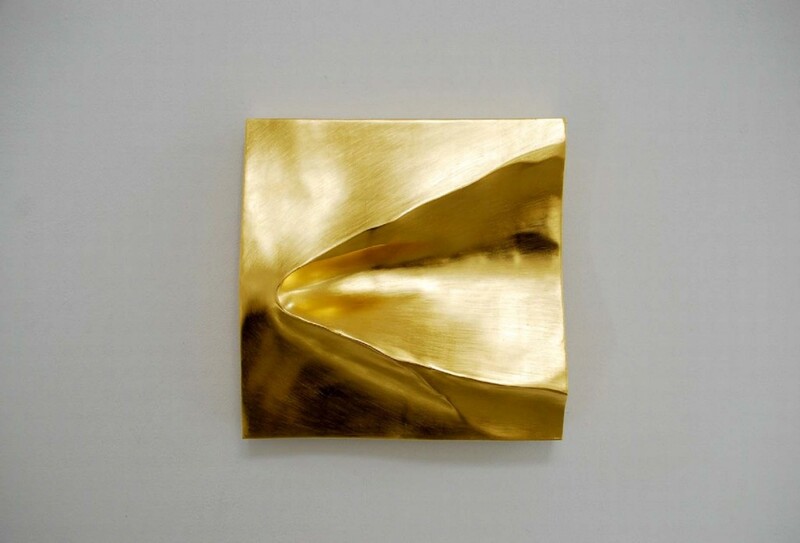 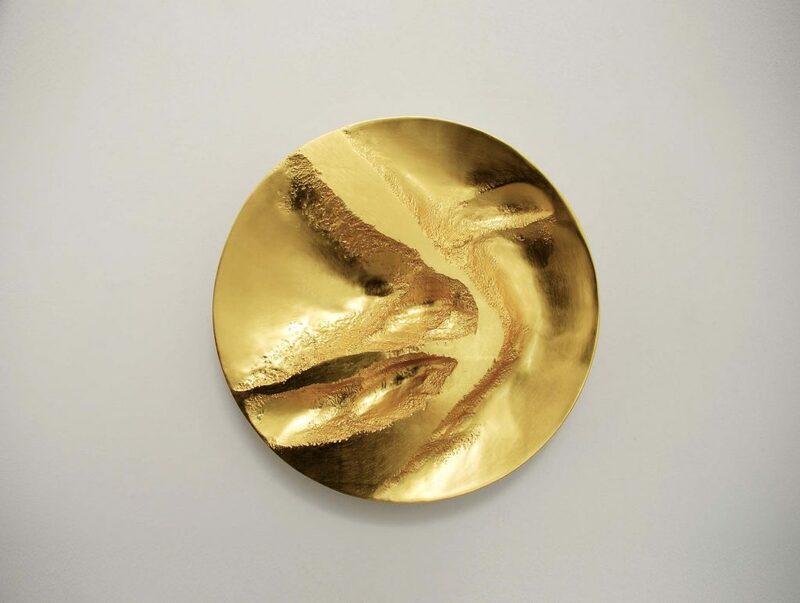 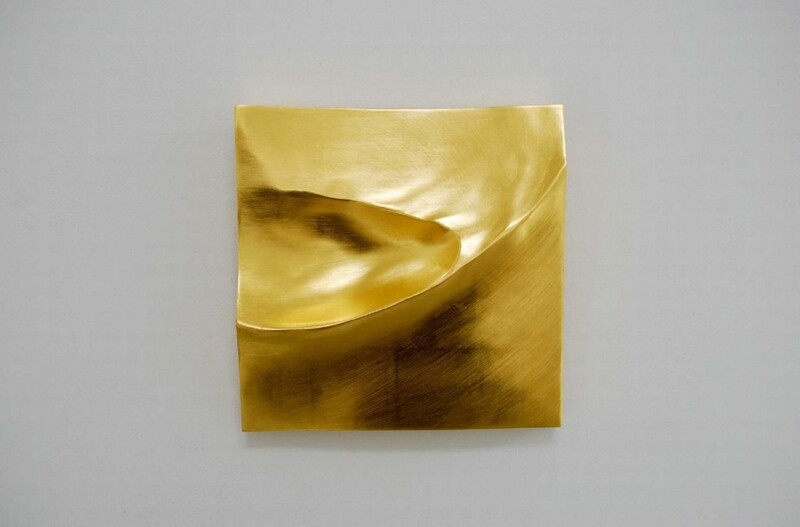 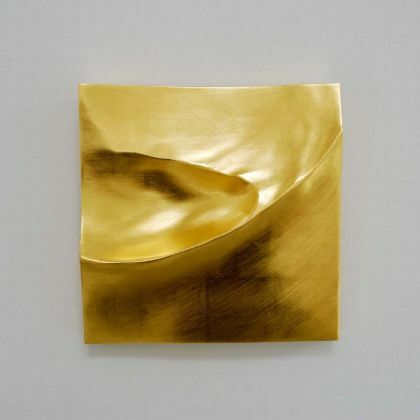 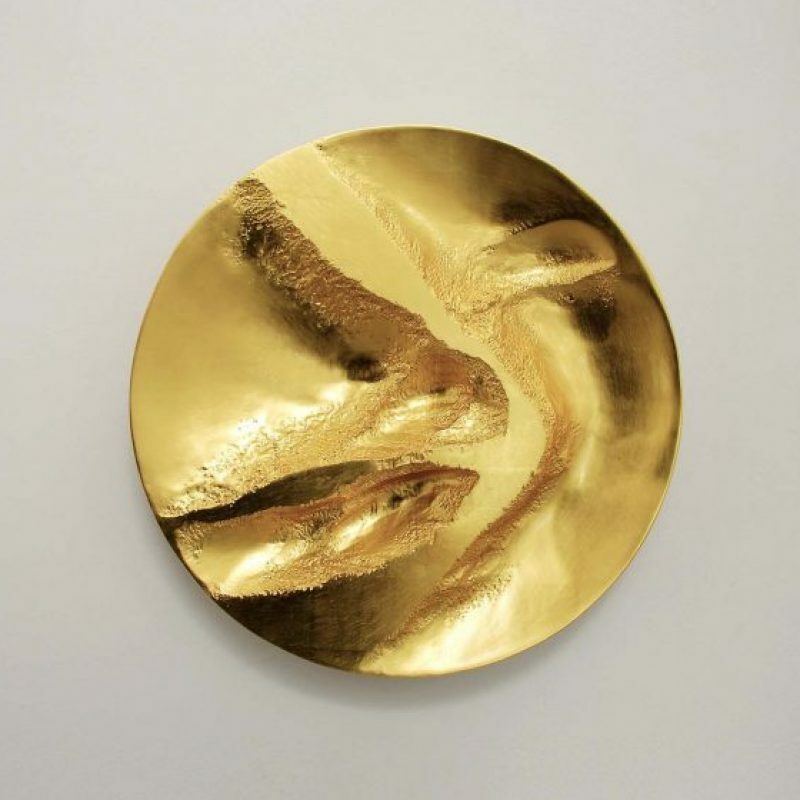 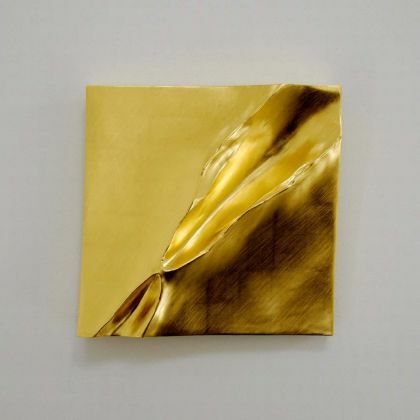 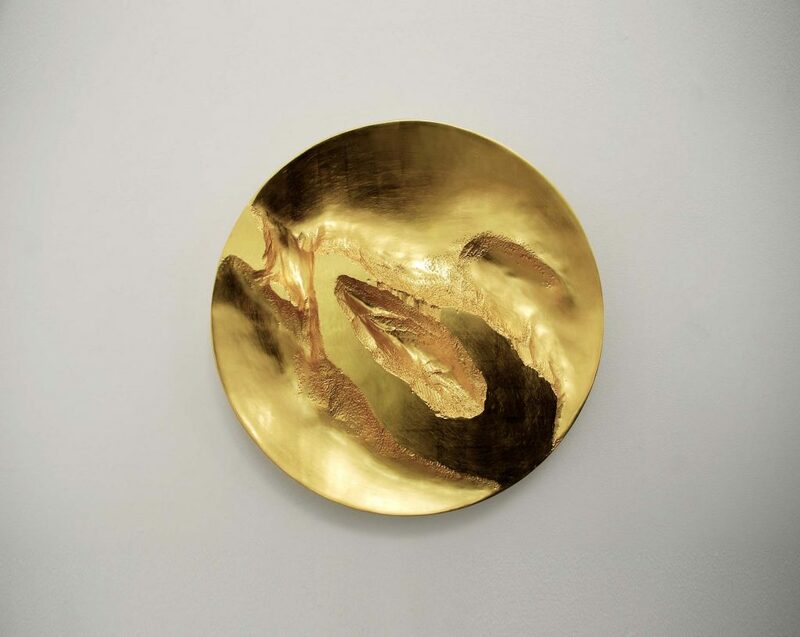 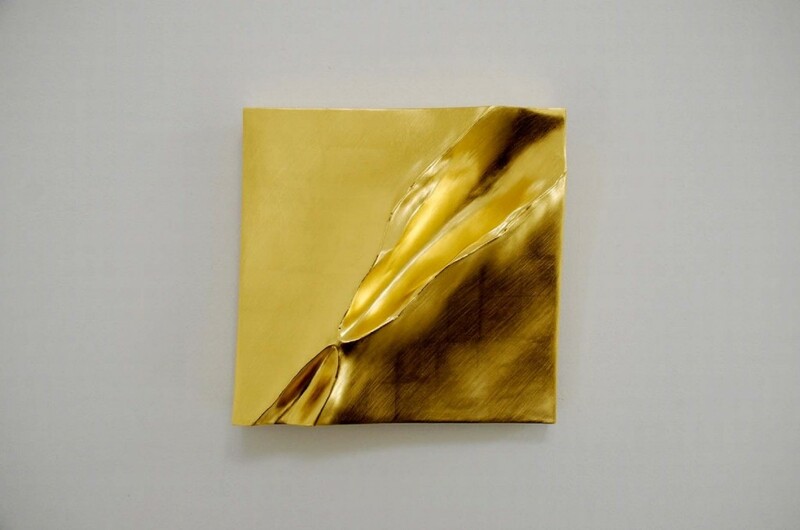 Form and Transformation 14,	22ct Gold on carved wood Ø 50 cm. 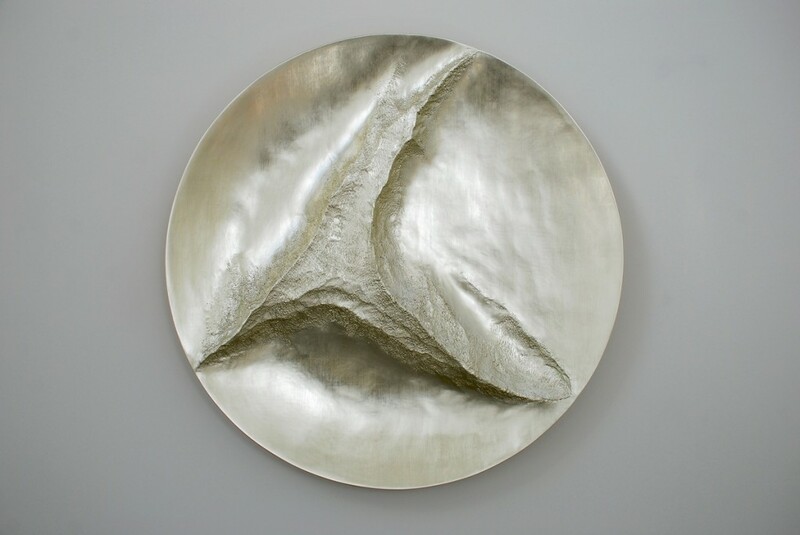 Zenith, 12ct White Gold on Carved Wood Ø128 cm. 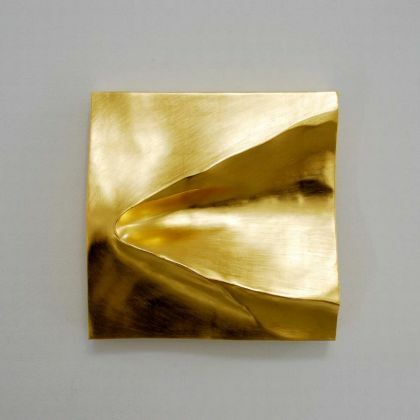 Form and Transformation 15, 22ct Gold on carved wood Ø 50 cm. 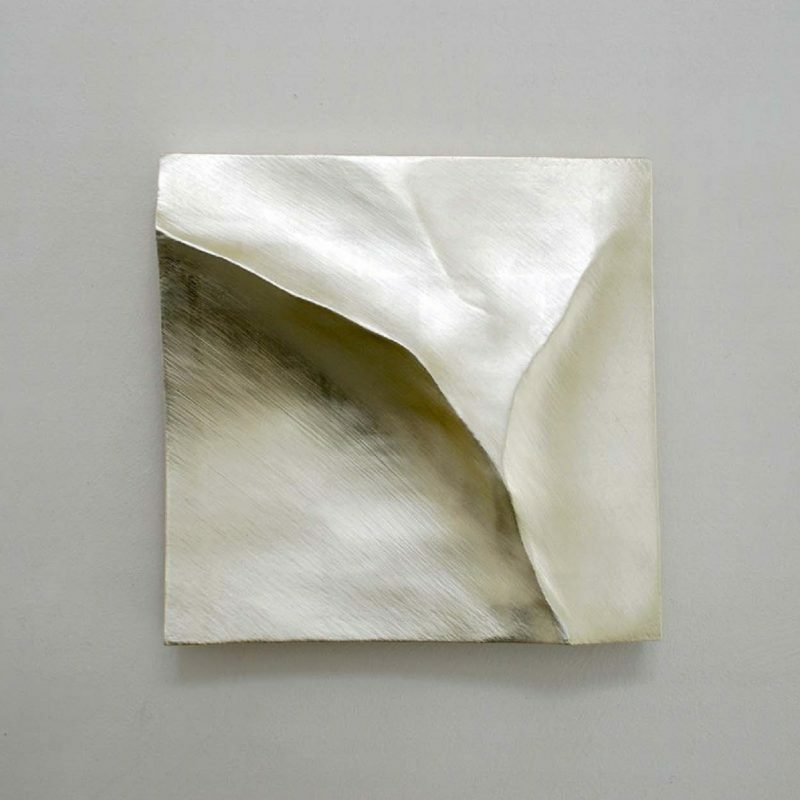 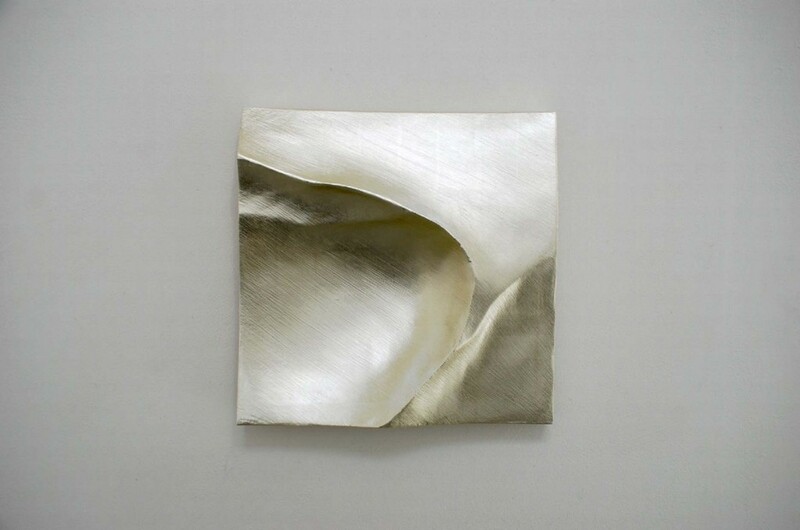 Form and Transformation 10, 12ct White Gold on carved wood Ø 50 cm. 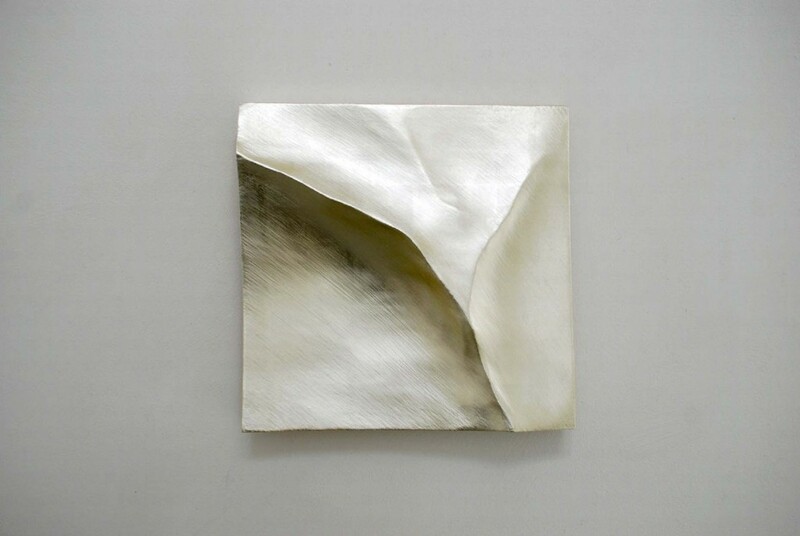 Form and Transformation 7, 12ct White Gold on carved wood Ø 50 cm. 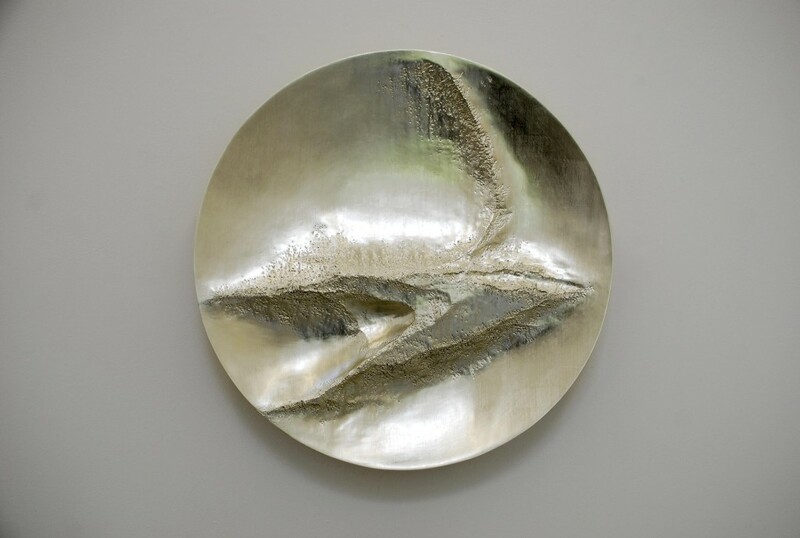 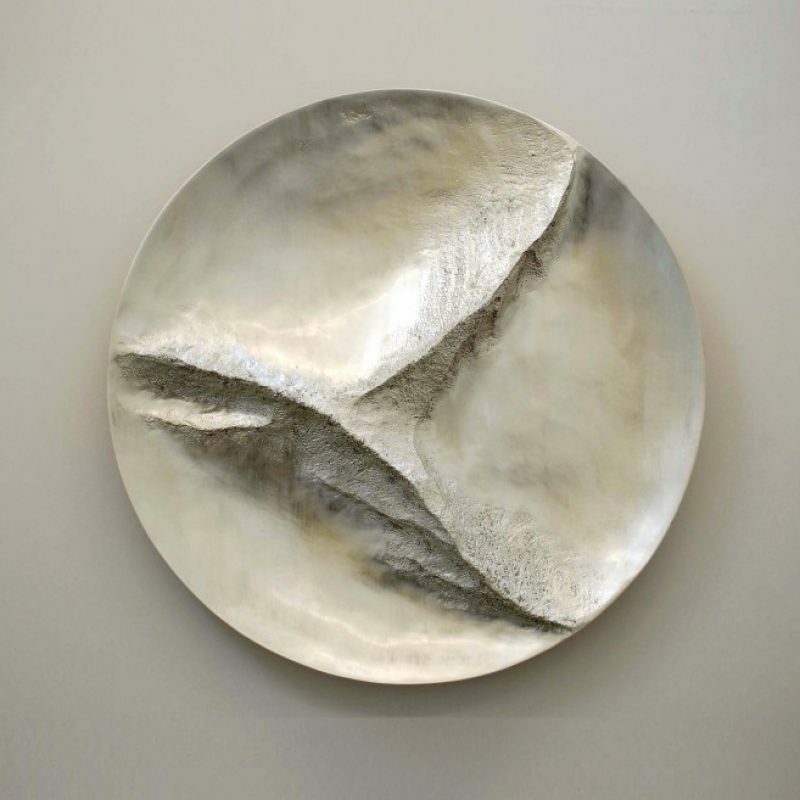 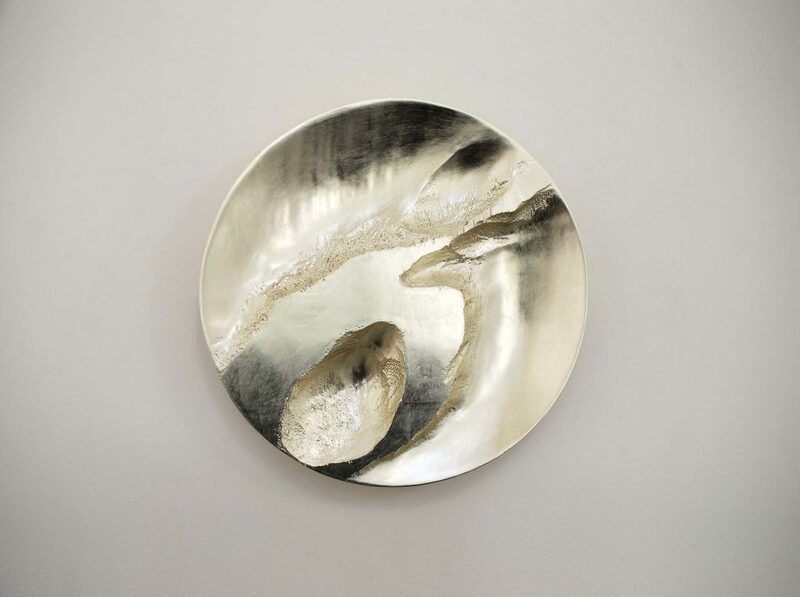 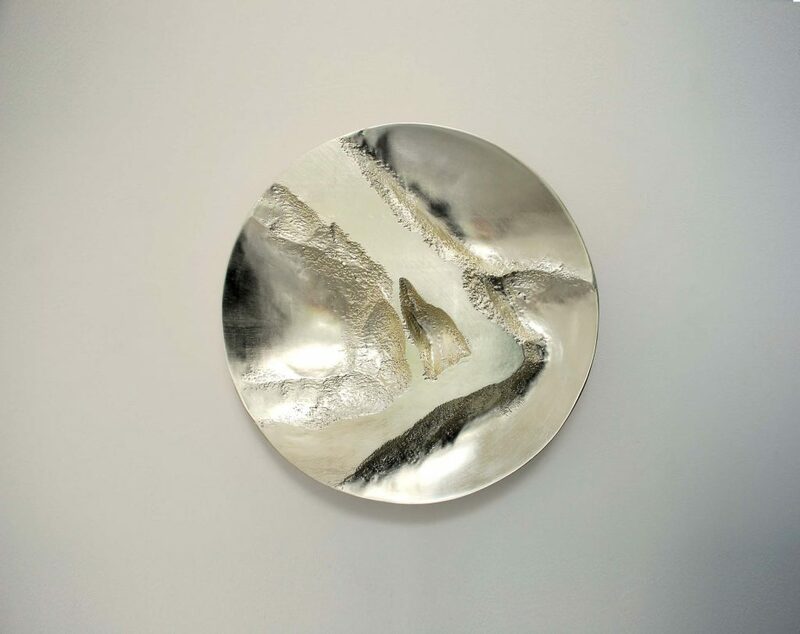 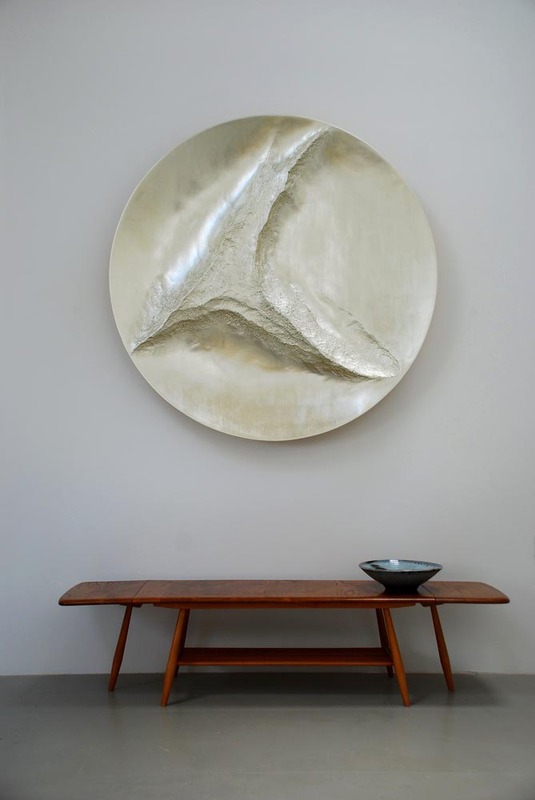 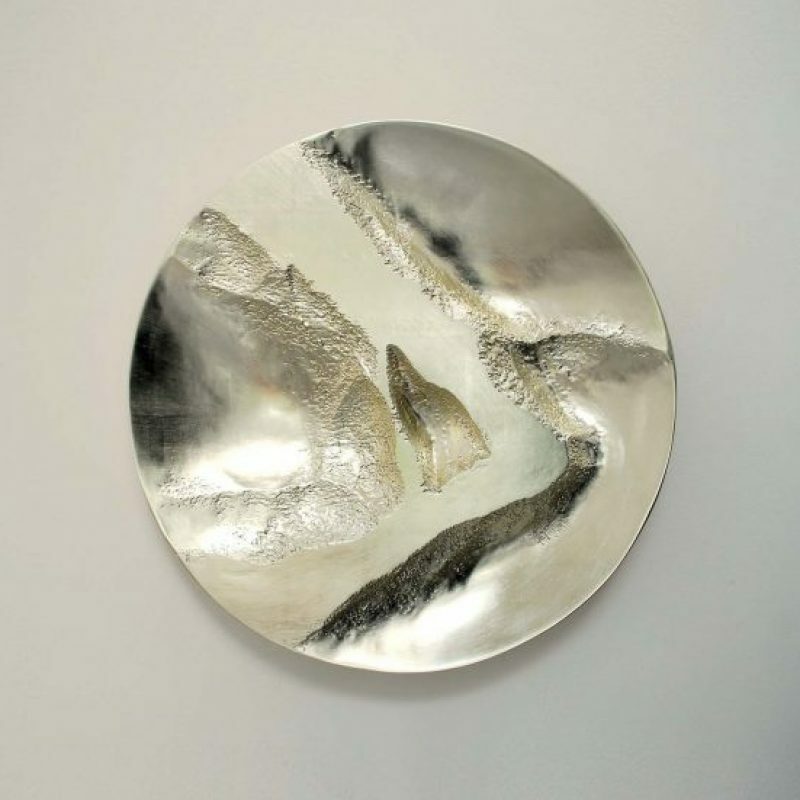 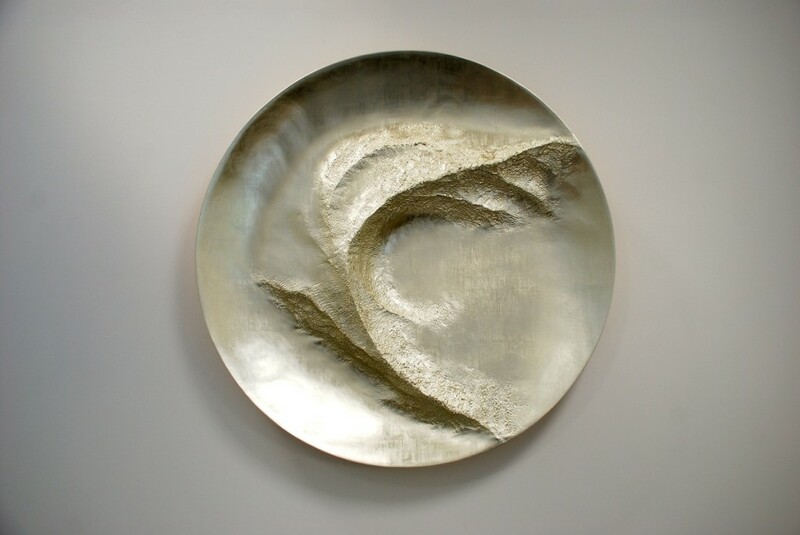 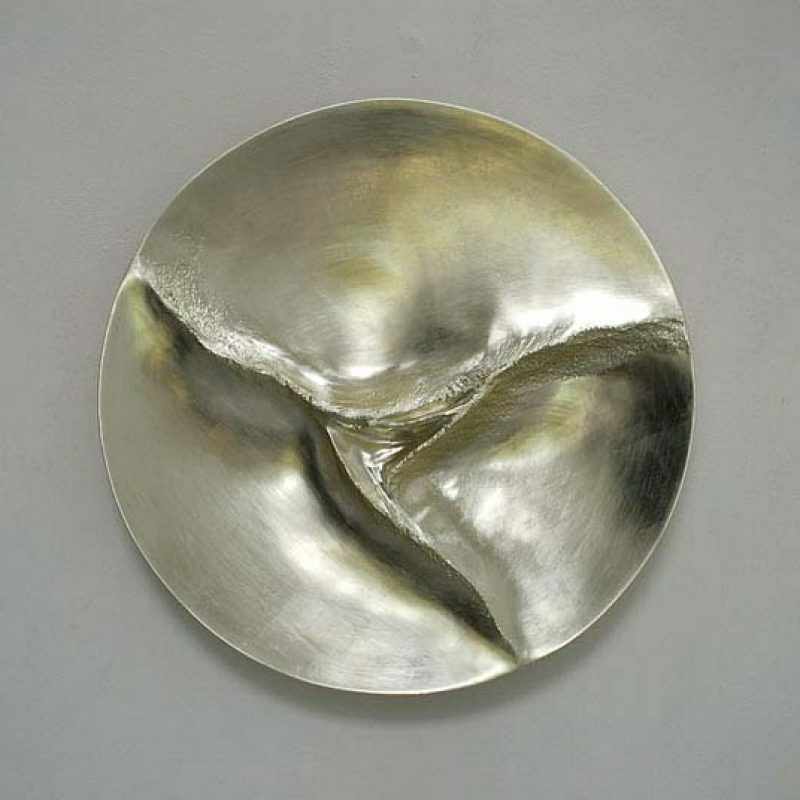 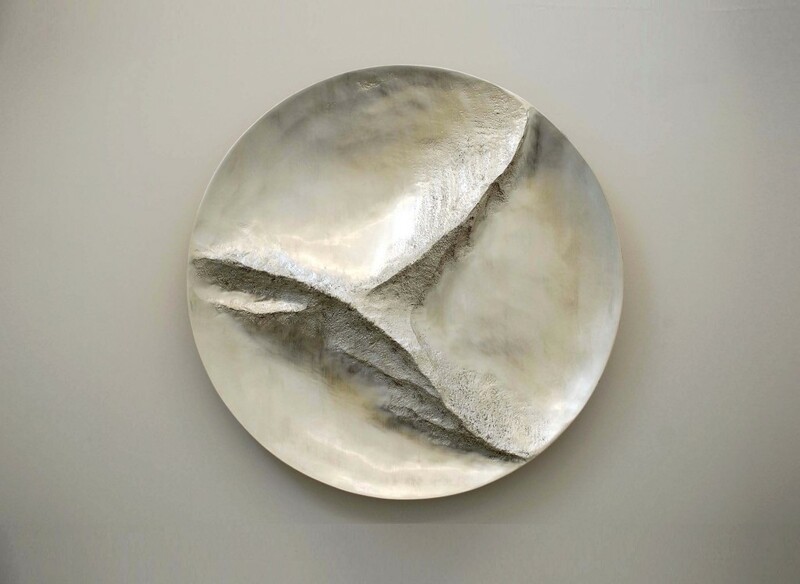 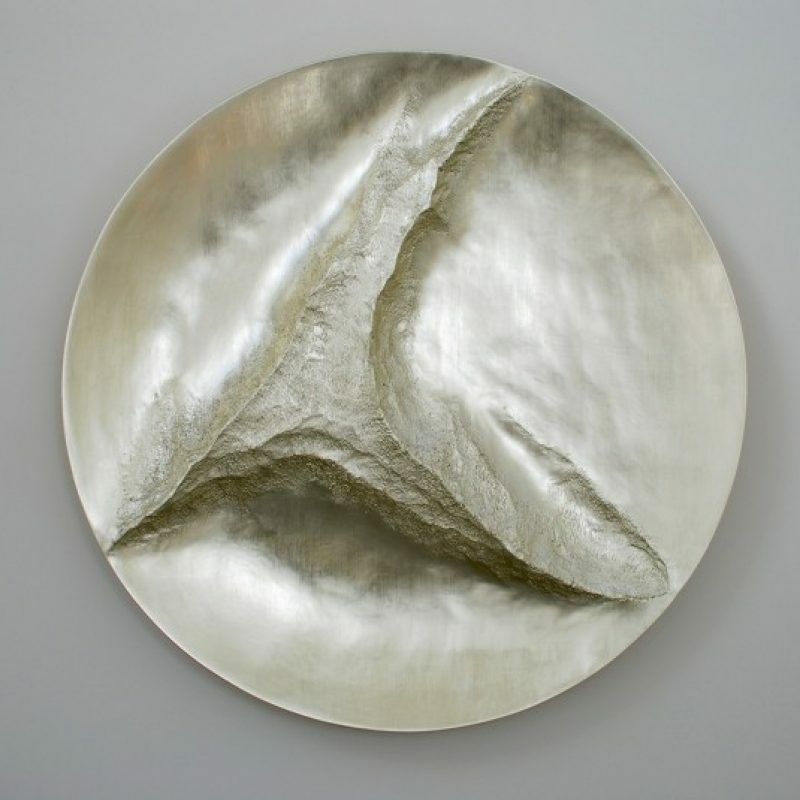 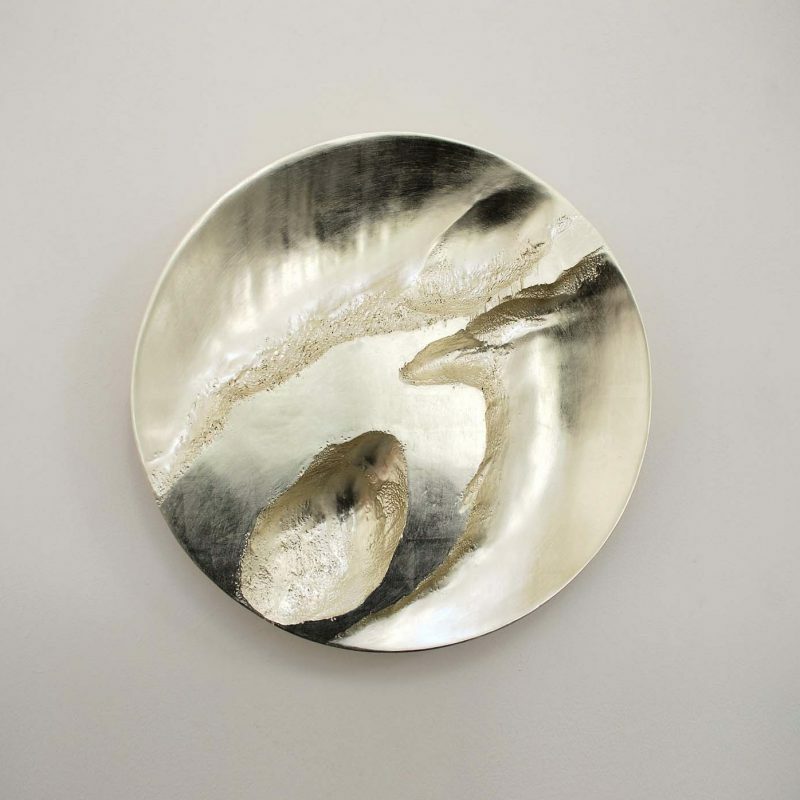 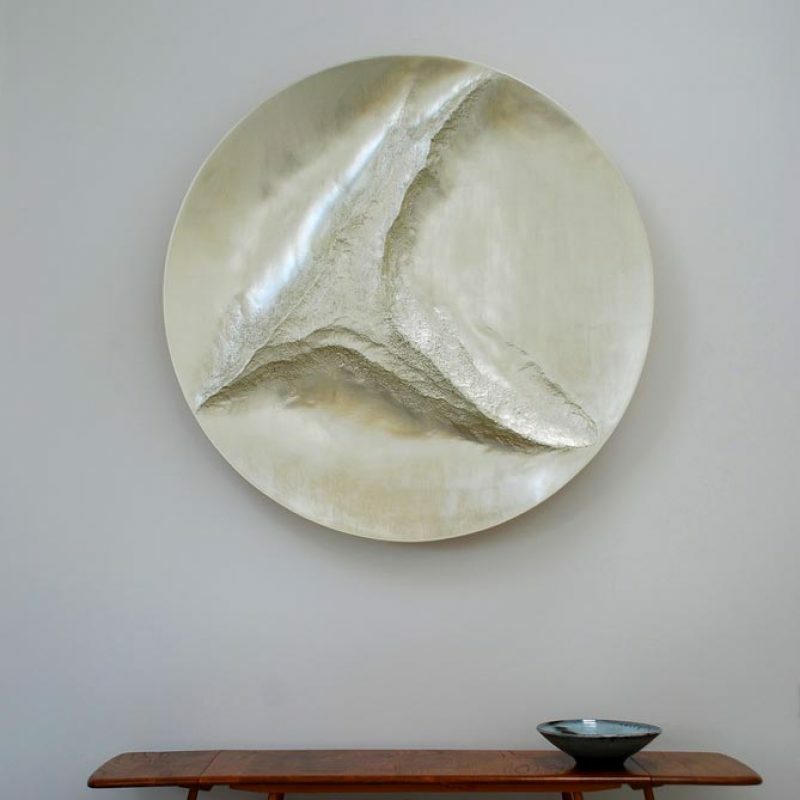 Turning Point, 12ct White Gold on Carved Wood Ø115 cm. 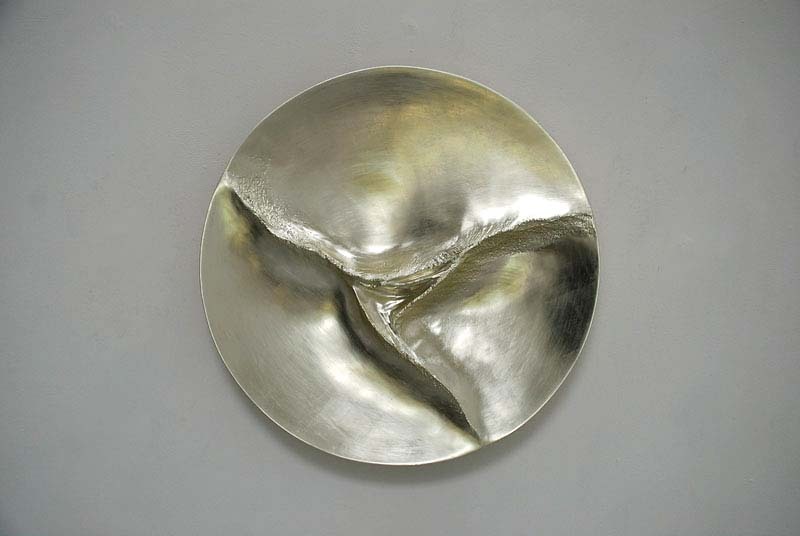 Simon Allen was born in 1967 in Bristol. 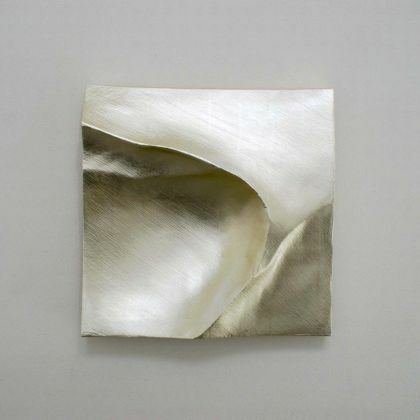 He studied a Fine Art Degree at Falmouth School of Art. 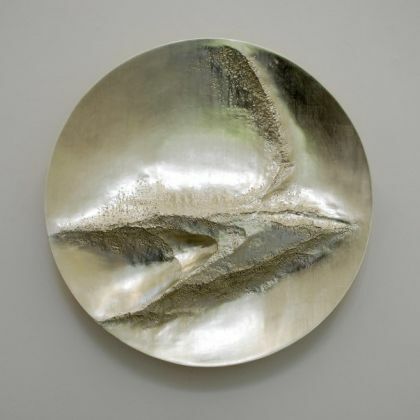 He then worked in London as a technician at Waddington Galleries, and as a gilder at Stewart Heslop Frames. 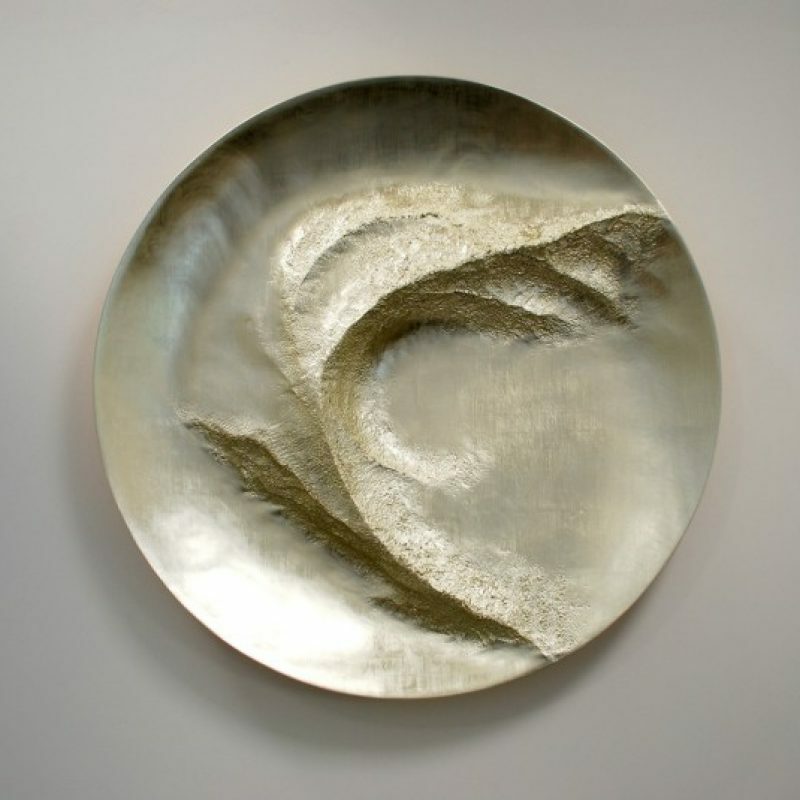 Currently living in Cornwall, he works as a full time sculptor. 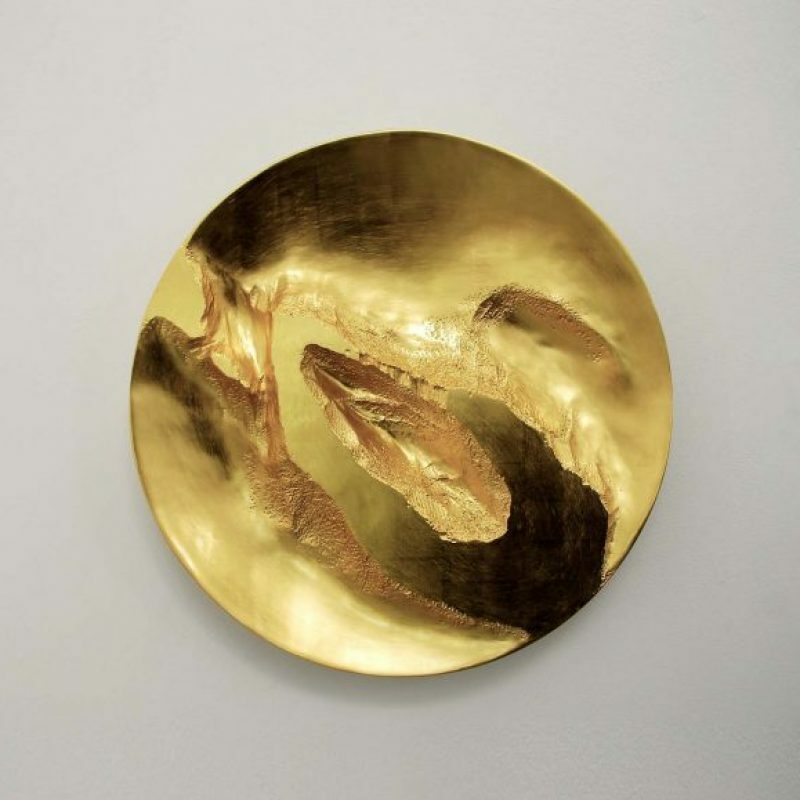 Simon’s unique gilded sculptures have gained him an admirable list of collectors both private and corporate.